A 48-year-old pedestrian from Fair Lawn was hospitalized in critical condition after being hit by a car driven by a Wayne man Friday night in Paterson. The victim in the middle of the block outside an East Railroad Avenue store when he was struck by a 2017 Mercedes Benz C300 just after 9:30 p.m., authorities said. 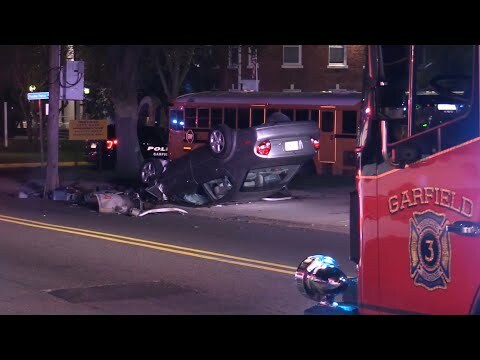 The driver, 29, remained at the scene, according to a joint announcement by Passaic County Prosecutor Camelia M. Valdes and Paterson Police Chief Troy Oswald. Valdes asked that anyone who may have seen something or has information about the crash contact her office’s tips line at 1-877-370-PCPO or tips@passaiccountynj.org . Or call the Paterson Police Department Traffic Division: (973) 321-1112 . All contacts will be kept confidential, she said.